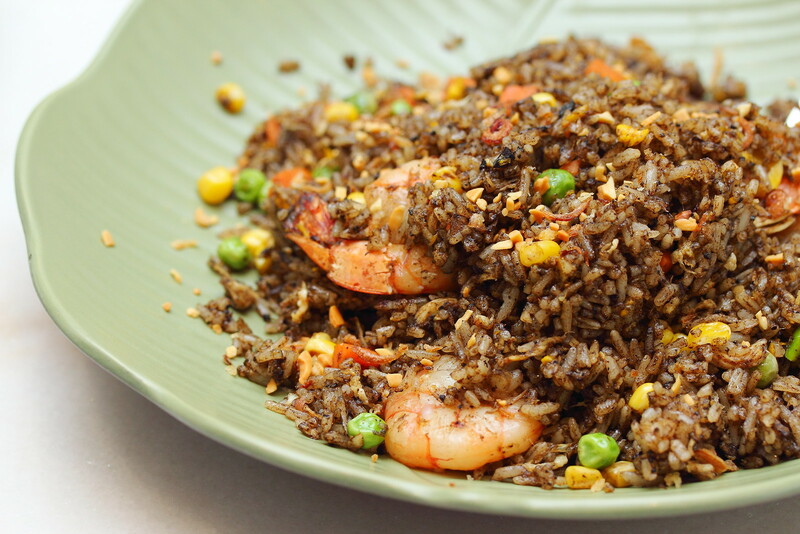 After trying out IndoCafe's Chinese New Year menu, I was impressed with the straits cuisine served at the restaurant. Hence I was back to the black and white colonial bungalow along Scotts Road to try more items on the menu. We started with some appertisers. First we have the Kueh Pie Tee ($10) which is served with an element of fun. 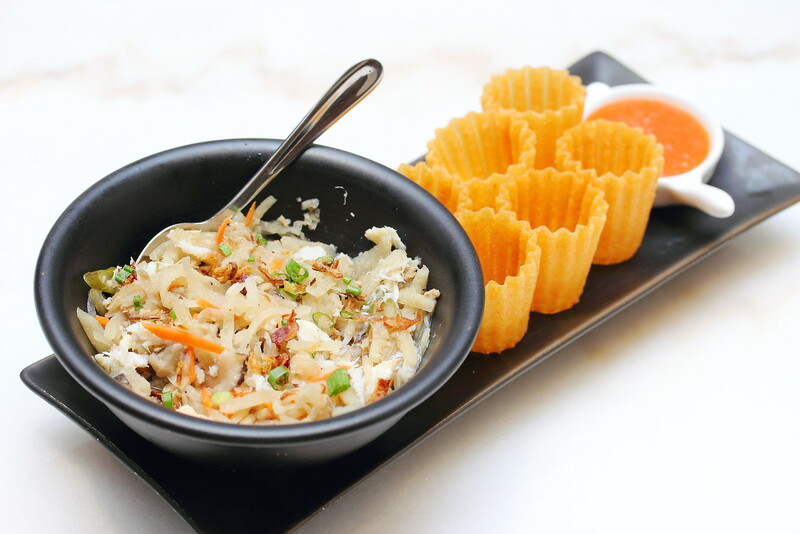 Diners get to fill up the crispy pastry cup from the bowl of shredded sweet turnip and crabmeat which is accompanied with homemade chilli dip. A popualr and delectable snack to kick start the dining experience. 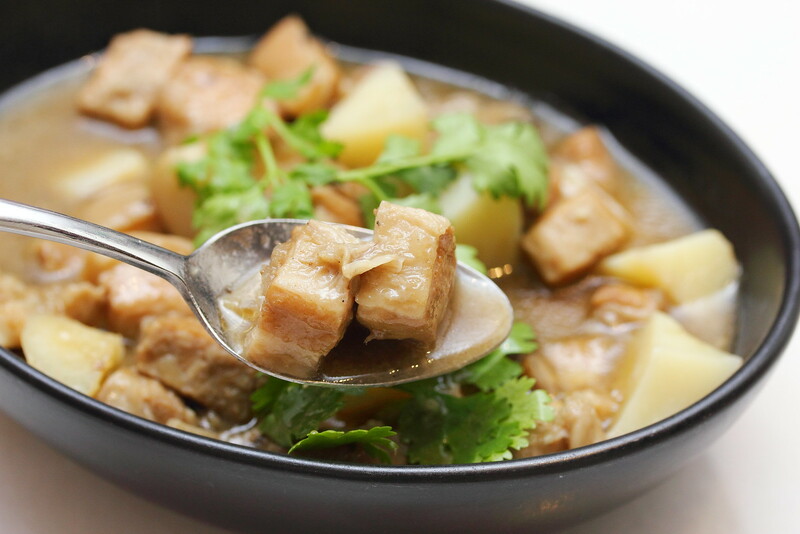 You are into something different with the Classic Penang Otah ($10). 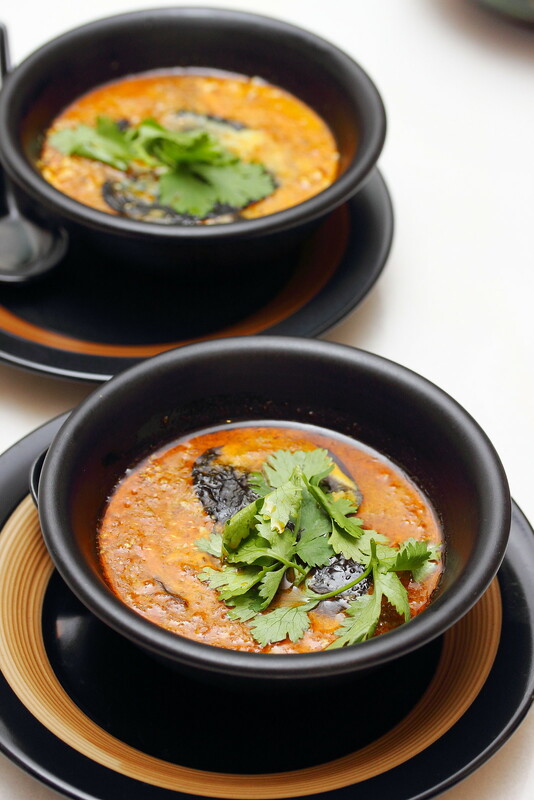 Unlike the usual fish paste otah, the version here is somewhat deconstructed with a whole piece of fish fillet resting inside a bowl of steamed egg seasoned with freshly squeezed coconut milk and special blend of herbs and spices. I would prefer it to be a bit more spicy but then it is my own preference. This is probably one of the best Ngoh Hiang ($14) I have ever eaten. Stuffed to the brim with the delectable five spiced meat and wrapped in a crispy soy beancurd skin, these plump Ngoh Hiang was popping delight that I could not help going back for more. The Ikan Masak Merah ($32) at IndoCafe is given a modern interpretation with the used of pan roasted cod fillet in red chilli sauce. It is a good change from the usual mackerel. The pan roasting gave the fillet a nice crispy exterior texture while the inside was still moist. Even though red chili sauce is used, it is not spicy at all. It will be enjoyed by both adult and children. I still remember my first taste of Babi Pong Teh was cooked by Serene in at Knorr Blogger Cookout event and I felt in love with the dish. 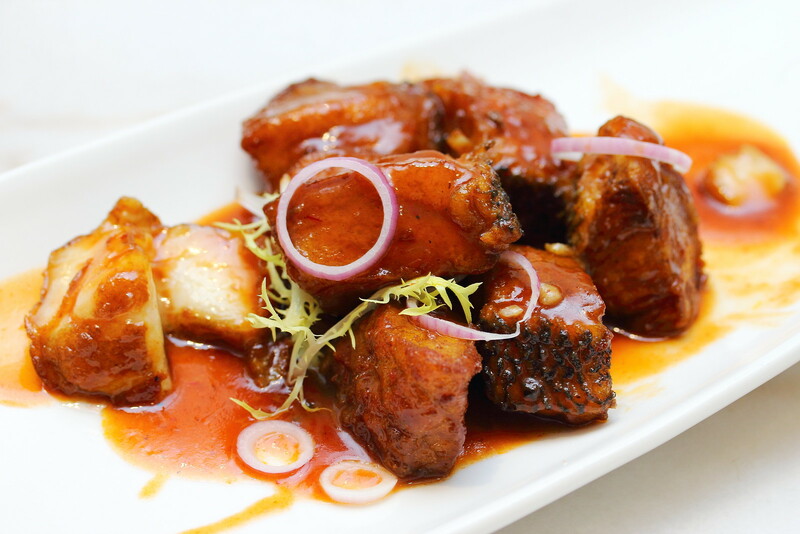 If you love pork belly, then you must try the Babi Pong Teh ($22) at IndoCafe. 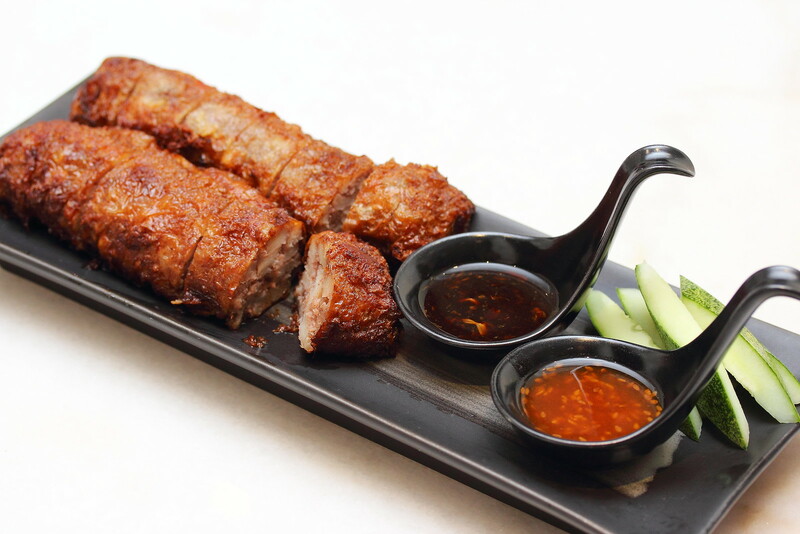 The pork belly is braised in fragrant soya bean paste and aromatic spices which literally melted in the mouth. I always have a soft spot for Nyonya curry with the use of lemongrass, tumeric and candle nut that has a creamy and nutty flavour. 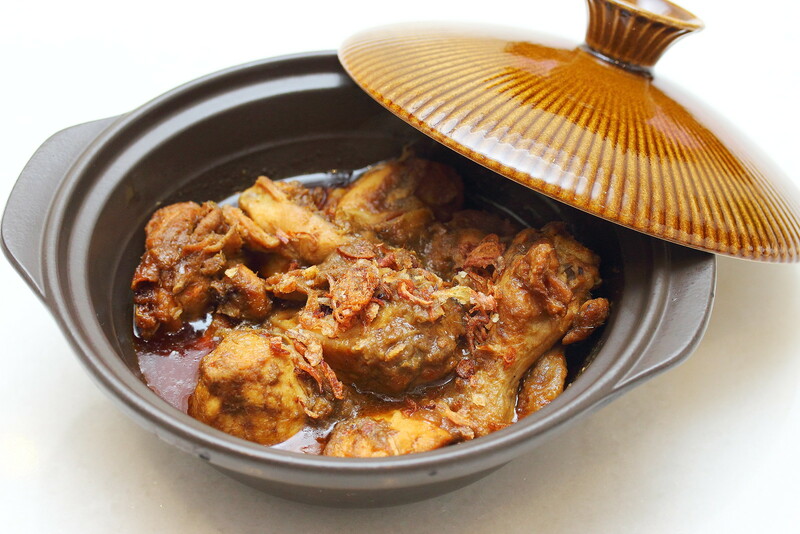 Using kampong chicken and braised in an authentic Penang Nyonya Curry sauce, the Kari Kapitan ($22) was tender and beautifully coated with the lovely nyonya curry sauce. While some may find buah keluak an acquire taste, this is black gold to me. 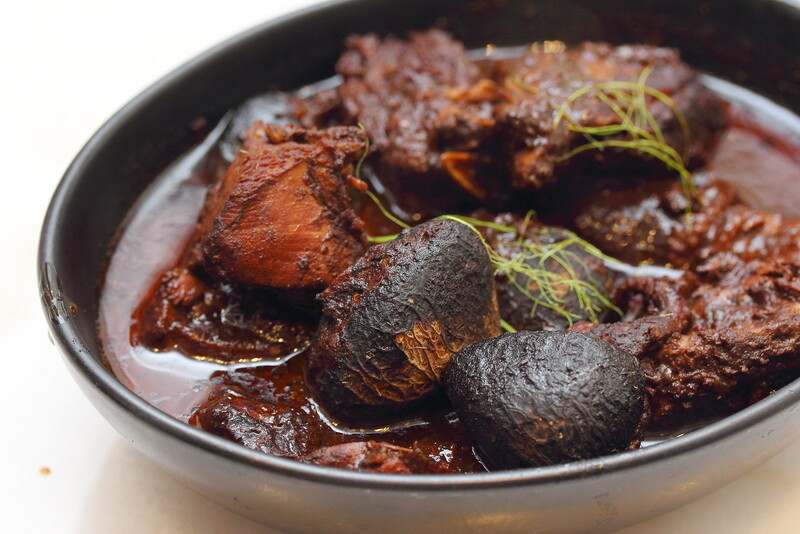 The Ayam Buah Kelauk ($24) is well braised with the black nut and exotic spices. The chef also took the effort to stuff the nut with a mixture of shredded chicken and black nut flesh. 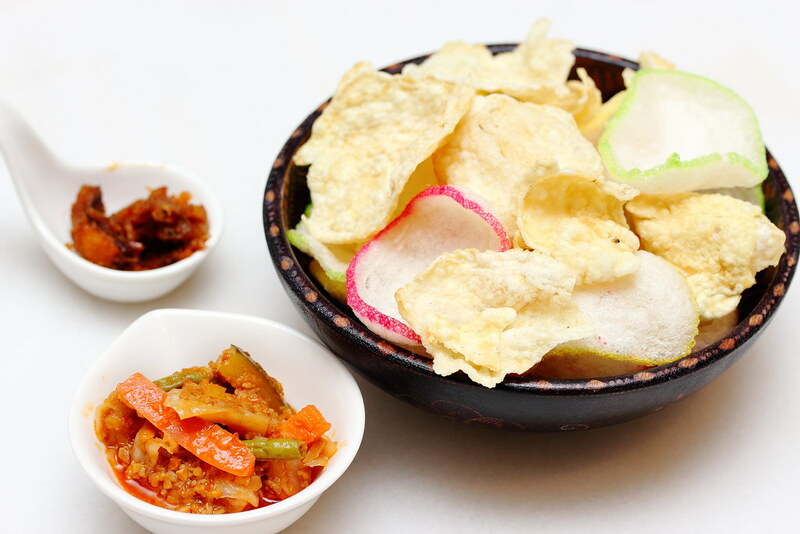 This painstaking prepared dish is a must try if you love the nyonya caviar,. Can't get more of buah keluak? The fragrant Buah Keluak Rice ($16) is well infused with the nutty flavour, bursting with lovely flavours with each mouthful. 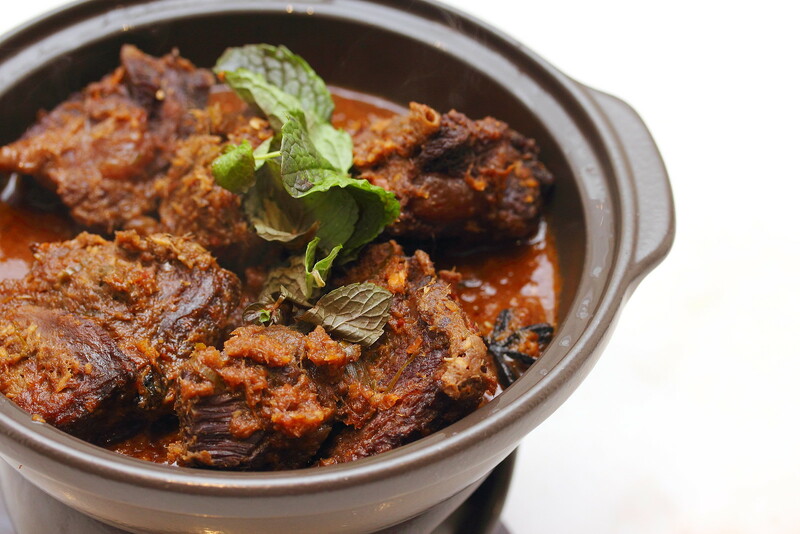 Using a special blend of spices and premium wagyu beef cheek, the Rendang Sapi ($32) is slow cooked to fork tender. This is extremely addictive and goes very well with a plate of rice. Another signature and must try dish. Do save some space for dessert at IndoCafe. Besides servicing amazing cooked food, the desserts here are as good too. A modern take of the Chendol dessert is the Chendol Panna Cotta ($12). 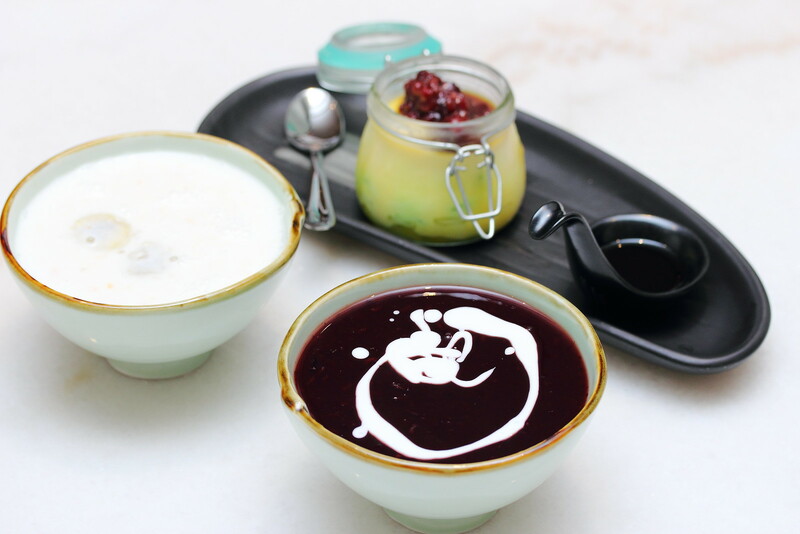 Served in a jar with coconut pudding, atap chee, chendol and red bean with gula melaka on the side, the deconstructed dessert is a delectable change from the tradition. Not to be missed is also the Pulut Hitam ($8) and Home Recipe Bubur Cha Cha ($8). My readers will know that I love pulut hitam and this is probably one of the best. The Bubur Cha Cha besides the mixture of rich coconut milk and palm sugar, banana is added to give it an interesting lift in flavour and surprisingly complemented the whole enjoyment of the traditional nyonya dessert to a new level. There is still charm in IndoCafe with its colonial bungalow and private setting, together with its delicious food that makes me want to return to dine at the restaurant. Indeed I did and I made a reservation for 9 people to have my gathering at the restaurant the following week. All my friends love the food and my recommendation. I thank IndoCafe who being consistently good in all my 3 visits servicing delish peranakan food.